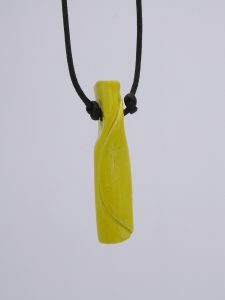 This is a ceramic spell scroll pendant, it is glazed yellow, and it is 4.5cm long. 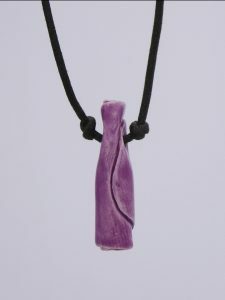 The happy thought written inside before being fired was: that you always see a happy dog when you go for a walk. 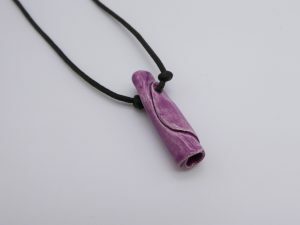 This is a ceramic spell scroll pendant, it is glazed purple, and it is 3cm long. The happy thought written inside before being fired was: that your cup of tea never goes cold. 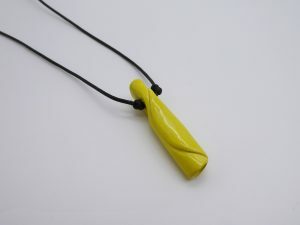 Birch Bark has a new website! 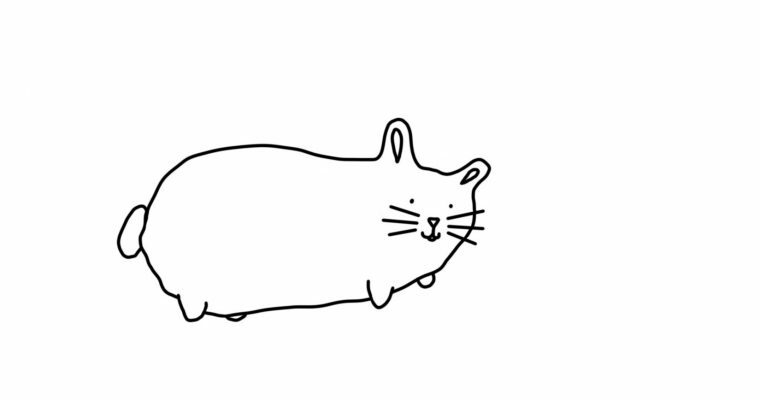 It’s still under construction, so I thank you for your patience.